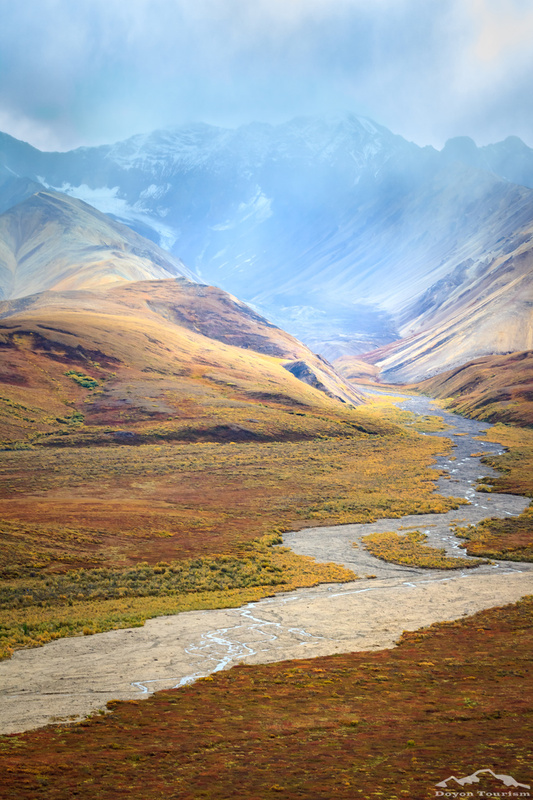 Denali National Park is home to a number of braided rivers, including McKinley River, Toklat River and Teklanika river. These river beds feature meandering streams that curve and bend, leaving interweaved tracks behind in the sediment. These tracks can last for years and years until they are washed away from a new flow of water. 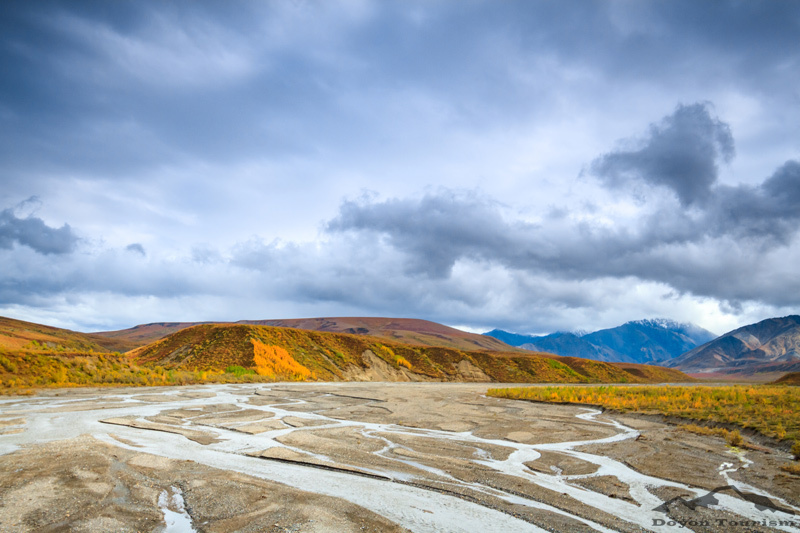 In many ways, the braided river beds are a natural representation of passing time in Denali, with rocks and sand showing off tracks made from many years of flowing water. Some of the river beds in the park stretch over a mile wide, including the McKinley river, which is accessible from a long hike near Kantishna Roadhouse. What might not be immediately obvious, however, is that these braided river beds like McKinley and Teklanika are never filled with water from bank to bank. The actual streams are small in comparison to the river bed. Even when Denali experienced some of its most extreme rains in 2014, these rivers beds were never completely full. 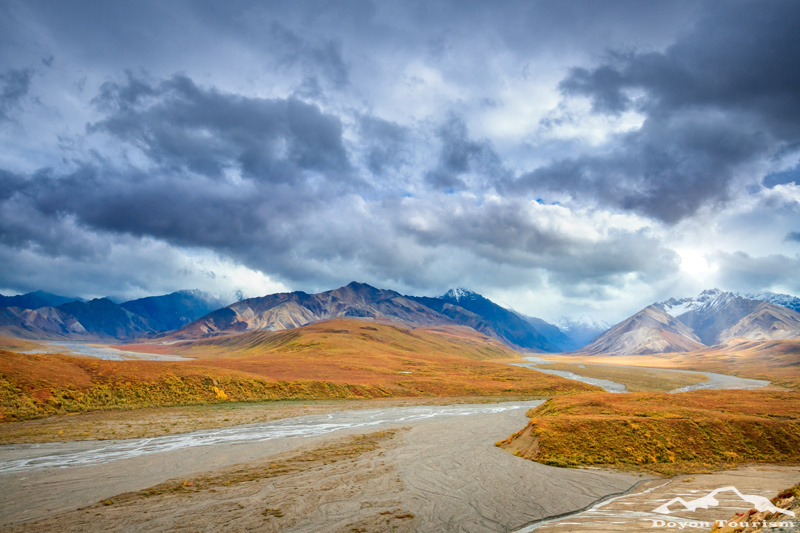 There are a variety of factors that make braided rivers common in the park, including the abundance of loose sediment, erodible banks, and variations in water flow. 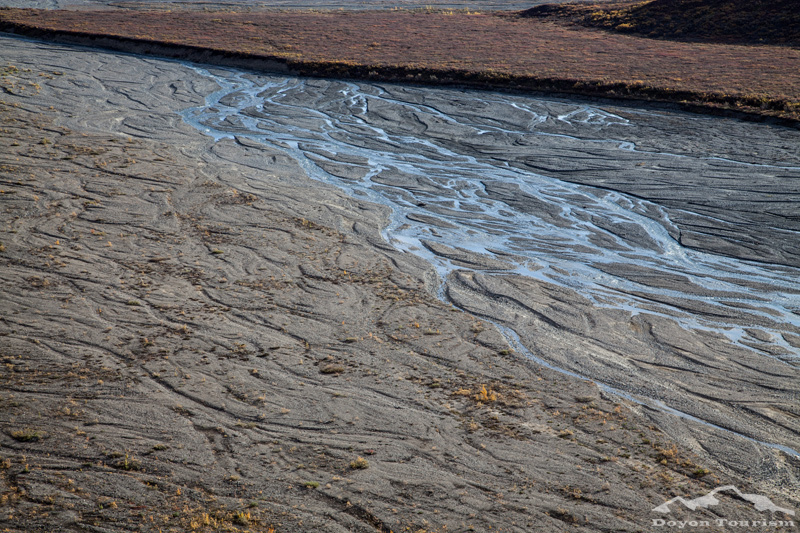 In addition, braided rivers are often found in areas where young, rapidly eroding mountains are present. These natural characteristics make it more likely for flowing water to quickly change direction and carve out new paths in the sediment. These river banks serve as salvation for wildlife that use the fresh water for sustenance and the nearby plants and vegetation as a source of food. It’s common to see Moose, Caribou, and Bears wandering on the river beds in search of their next meal.